So... I finally come to a decision to go with the OM-D... Is there any big hand users out there? Re: What's weak about the GH3? It's been said on another test but the samples posted by DPR are simply unrepresentative of user experience. If you want to go with that, it's fine, but in all honesty it's identical to better than the E-M5 in real world use. Because I'm talking about actual use, and not shooting a pointless test scene with a tripod it may simply be that the GH3 is more of a photographers camera (e.g. it allows for greater button/dial based fine tuning of settings to get enhanced results). Nonetheless, I'll take the camera that gives me better results/more keepers at the end of the day. 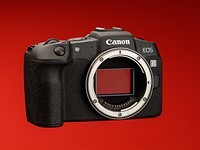 First, are you saying that DPR has made some kind of mistake specifically when shooting or processing the GH3 samples? If so, what mistake would that be? Anders, not sure old son, all I can say is that these samples aren't representative of comparative real world use or, to say it another way I prefer the results I get from the GH3, which look better to me than what I get from the E-M5. As I pointed out on another post, it may just be the ergonomics and controls suit are better which means I achieve more keepers - but in saying that perhaps I'm trying to be conciliatory? Well, if what you actually want to say is that the user interface of the GH3 suits you so much better that you get more keepers with that camera, then I (and probably others) completely misunderstood what you had in mind. The DPR studio samples obviously do not even purport to show the impact of the user interface in practical photography. There is no way they can do that. What they do try to show is the quality of the sensor and (for OOC jpegs) the image processing. Anders, in defence of sgoldswo, he never actually said that the test scene gave wrong data. He was simply making the point that when he picks up the camera and starts shooting with it he prefers it to the E-M5. Dpreview tries to be objective in its reviews and for that reason is data-heavy. This is great because we get something objective to base our comparisons on, but it doesn't give us the kind of insight into the camera that a real-world reviewer (such as Robin Wong or Ming Thein) would offer. I think sgoldswo's position in regards to ergonomics is perfectly legitimate. I personally don't like the E-M5 because of its ergonomics and would probably buy the GH3 over the E-M5 for precisely that reason. Second, are you saying that the DPR studio scene is useless for judging the image quality of a camera? If so, for what specific reasons would that be? I don't find it valuable - this test actually suggests better image quality from the GH@ compared to the E-M5 and the GH3. The GH@? You mean the GH2 or what? Are you talking about ACR-processed RAWs or OOC jpegs? And in what way do you think the samples suggest that the GH@ (GH2?) is better? I question that. Further, the test scene suggests a prevalence of moire on X-Pro1 shots whereas I find the E-M5 and X100 for worse is real world use. Where do you see the moiré from the X-Pro1? And again are you talking about ACR-processed RAWs or OOC jpegs? Finally, are you saying that the GH3 allows for greater button/dial based fine tuning of settings that affect image quality than for example the E-M5? If so, what would those settings be? OK. So you mean quicker rather than greater control. Re: So... I finally come to a decision to go with the OM-D... Is there any big hand users out there? What's weak about the GH3? Large Hands & Large Fingers ..
OMD: power switch perfectly placed! It sounds like you are better off with a dslr. Re: It sounds like you are better off with a dslr.